Sleepy Hollow: Will Season Four Be the End for the FOX Series? Last week, FOX renewed Sleepy Hollow for a fourth season despite a controversial third season. But will season four be the end? FOX CEO Dana Walden recently addressed the future of the series, The Wrap reports. Sleepy Hollow follows the adventures of Ichabod Crane (Tom Mison), an 18th century Revolutionary War hero who wakes up in the present day. The series also stars Lyndie Greenwood and Nikki Reed. [SPOILER WARNING] Fans were angry the supernatural drama was renewed after the show’s co-lead, Nicole Beharie, was killed off at the end of season three. While discussing the decision, Walden said they’re not sure if season four will be the final season or not. She added that the new season will focus on Crane, making him the sole lead of the series. What do you think? Do you watch Sleepy Hollow? Will you watch season four? Do you think it will be the end? 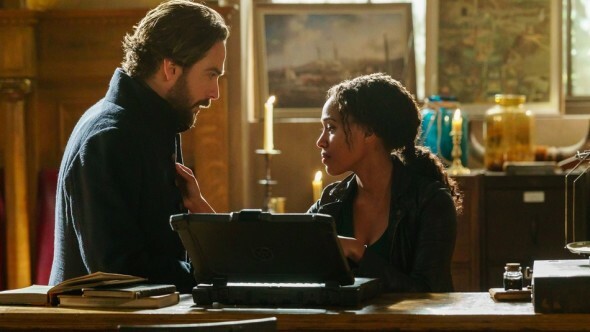 More about: FOX TV shows: canceled or renewed?, Sleepy Hollow, Sleepy Hollow: canceled or renewed? Sleepy Hollow: Cancelled or Renewed for Season Five by FOX? Sleepy Hollow: Why Did FOX Renew the Series for a Fourth Season? Yes I will continue to watch season 4. I have followed this show since the beginning. I simply love this show. Every well written show seems to be leaving this year and I for one am so disappointed: the good wife, Hell on wheels, Castle, RIzzoli and Isles…please keep this going. There’s lot more to cover!